The paradox of bitcoin is that it is both public and anonymous. All transactions in the network are easily traceable, but public keys are not linked to their owners’ data. The point at which bitcoin might switch from privacy to identification is when a user cashes out, using a wallet or an exchange. There are, however, several ways to protect the anonymity in a blockchain. A cryptocurrency mixer is a tool for improving the anonymity of cryptocurrencies. The algorithm is rather simple—a user sends their cryptocurrency to a mixer’s address which is registered for each user individually. The coins are then mixed with transactions of other people or distributed among hundreds of thousands of wallets that belong to a mixer. Once the process is completed, “clean” bitcoins are transferred to the pre-set storage—either back to the sender or the new owner. This dot is a bitcoin wallet that held $10,000 in ransom payments before the hackers who own the account began sending the funds toother wallets. As the money began moving throughbitcoin accounts, it soon hit a highly active wallet, and transfers beyond such wallets are difficult to tie to the hackers In fact, determining which transactions past that point include money from the hackers’ wallet can be impossible, and that’s the idea. 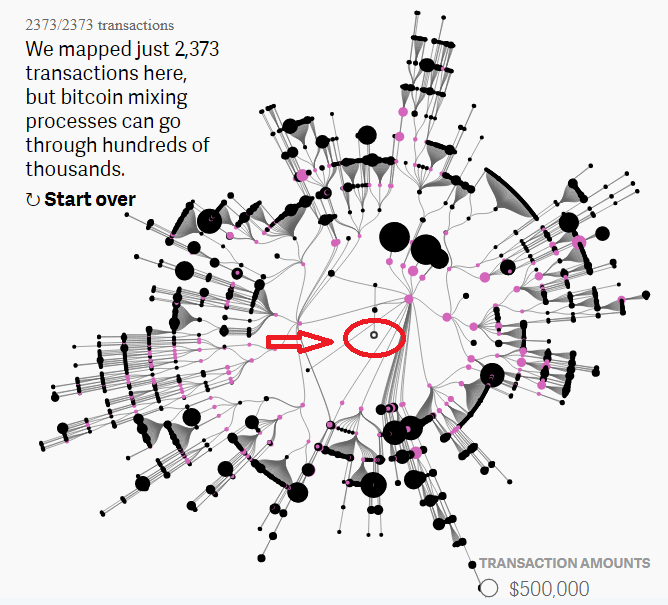 We mapped just 2,373transactions here, but bitcoin mixing processes can go through hundreds of thousands. The mixers’ owners charge a 0.5–3% transaction fee for their services. It is vital to remember, however, that if you send the coins to another person’s wallet, you might never get them back. Using a mixer is not so different from using an exchange platform. 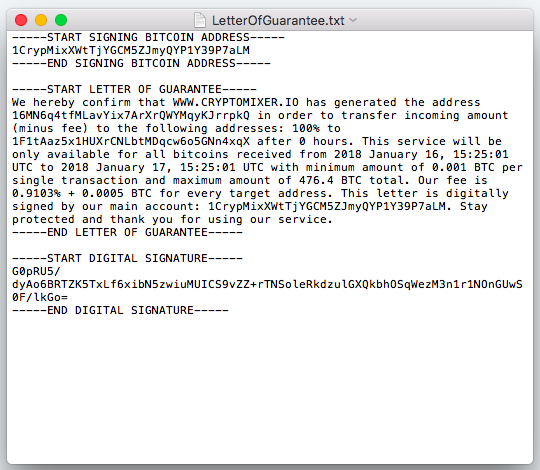 You need to enter the address to which you would like to send the mixed bitcoins, set the commission fee (it heavily influences the transaction speed), and press “Continue.” Next, you will be redirected to the page with the mixer’s address to which you need to send your bitcoins in the first place. Originally, there were two anonymous cryptocurrencies—Monero and Zcash. John McAfee and Edward Snowden said that those are the cryptocurrencies of the future. The coins allow users to hide all traces in a blockchain and exclude the possibility of transactions being observed. Zcash has achieved this by using a cryptographic tool called zk-SNARK (zero-knowledge proofs), and Monero has implemented the ring signatures technology (the message signed with it is endorsed by someone in a particular group of people, but it’s computationally infeasible to determine which of the group members’ keys was used to produce the signature). Zcash and Monero ensure the anonymity of information on transactions, wallet balances, and movement of coins. Cryptocurrency Dash is also secure when it comes to untraceable transactions. The PrivateSend technology enables users to mix and break the transaction inputs down into standard denominations. The wallet then sends requests to “masternodes” which are responsible for mixing. Dark Wallet is built atop CoinJoin, which implies that all transactions are mixed and it’s impossible to find out who was the first to own a cryptocurrency. The more users of the wallet, the better the anonymity. Next Post:Is Bitcoin a Project of US Intelligence ?